Hot Tubs, Swim Spa, Sauna and Backyard Patios are our Specialty! Longstanding Reputation – We are very happy with our hot tub. Thank you for working with us to find the right one! Friendly, informative service when you’re making your decision and once you do buy, the installation was quick and professional. Always there to answer any questions that pop up about taking care of the tub afterward, too! Chesapeake Spas – Great Experience! 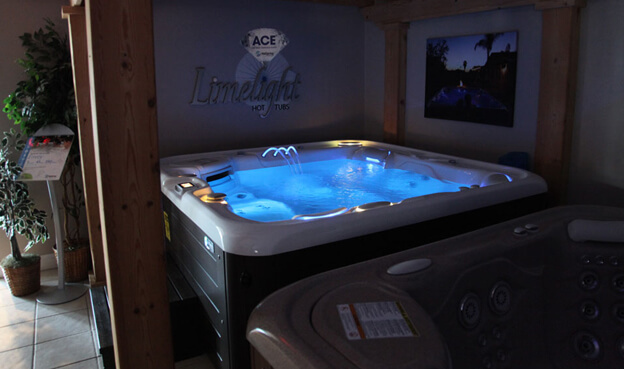 More than home-improvement or entertainment, a hot tub or sauna is a great investment in your health and well-being. Saunas and hot tubs relax muscles and soothe aches/pains in both muscles and joints. Best BBQ Grill Store in the Annapolis Maryland Area! Looking for the best barbecue grill store in the Annapolis Maryland area? Look no farther! The Grill Center at Chesapeake Spas in Edgewater Maryland is your one stop shop for all the best grill brands. Could you benefit from a site survey? Use our design services to pick the perfect location for your hot tub, swim spa or sauna. Or, contact us and we’ll set aside a private time so that you (and your family) can test soak the different models of hot tubs!